Last April, Minneapolis played host to the first big whisk(e)y show held in the Twin Cities in a long time, if not ever. With its unique venue and diverse pour list, Whiskey On Ice’s inaugural run was great success. Thankfully, the event is returning in April of 2016 with another afternoon full of golden liquid sunshine to usher in the Spring. Yes, I know, we’re barely into Fall of 2015. You may well ask why mention this now? How, you may well ask, can one expect to plan for a Spring 2016 event? There could be a foot and a half of snow on the ground. It could be sunny and 65°. It could be sunny and 65° with a foot and a half of snow in the forecast. How does one even begin to look past the holiday season and through the dark days of winter to a lone Sunday in April? One just does. 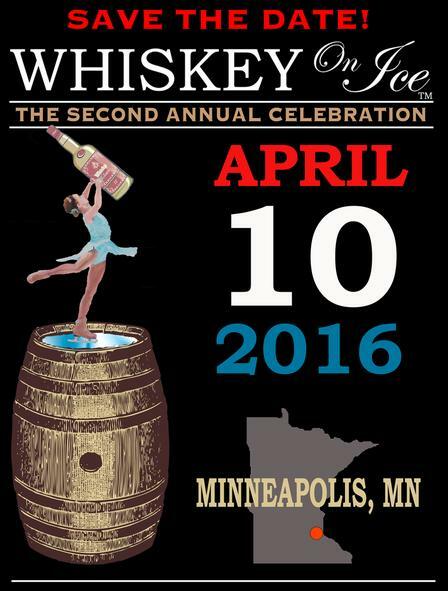 Especially if one wants to attend next years Whiskey On Ice because tickets for the event just went on sale. -Main event runs from 5:00-8:00pm.